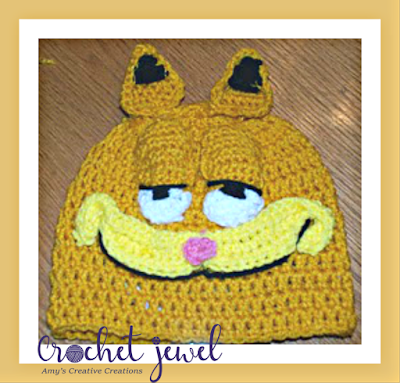 I loved Garfield growing up! 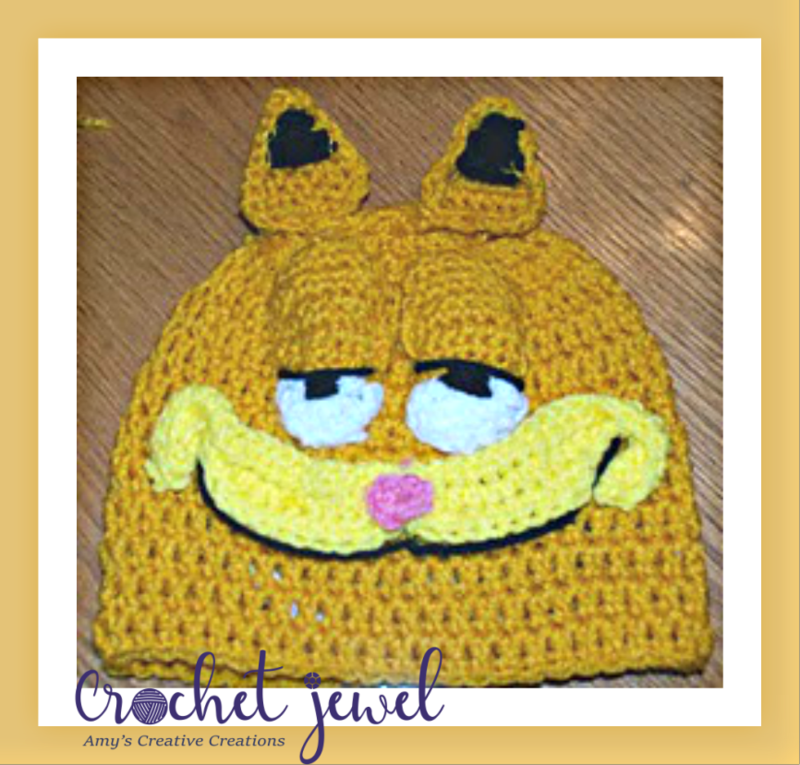 I was searching around online for a Garfield pattern and didn't see any besides one that you have to pay for. So I created this fun hat pattern after some trial and error. I really liked how it turned out. I think it looks like the mischievous cat! Orange or gold, black ,white, and yellow yarn. The braid from the center of the ear flap at the bottom, use orange and white yarn, with a sl st in the center of the bottom of the ear flap and chain 30, and sl st it off and cut yarn. Row 7. ch 1, 2sctog decrease, sc in each stitch across, 2sctog, turn (5sts) fasten off, when you are ready to sew this part of the eye to the hat, stuff it lightly with yarn. Round 2. work 2dc in the first dc, dc in each stitch around, 2dc in the last dc, (9dc) fasten off. Take the beginning chain of the orange lid of the eye, and beginning chain of the white part of the eye and slip stitch with orange yarn, and continue by sewing those two parts of the eyes together. Then with black yarn sew a black pupil by making a 3 small black lines in the center of the white part of the eye, about 1/2 inch. Then sew a black line across the eye separating the orange part from the white part of the eye, seen above in the picture. Place the eyes right below the ears. about 1/2 inch apart. Row 8. single crochet around the entire edge of each ear, fasten off. With black yarn, sew some horizontal lines across the top part of the ears, about 5 times, not to tight, make it a little loose. fasten off. Place the ears above the eyes and very close to the eye, not on top of the hat, actually about 1 or so below the top of the hat. Nose: G hook, pink yarn, ch 2, work 8 sc in the second chain from the hook. With yarn needle sew the nose on the center of the yellow mouth. Rows 2-3. 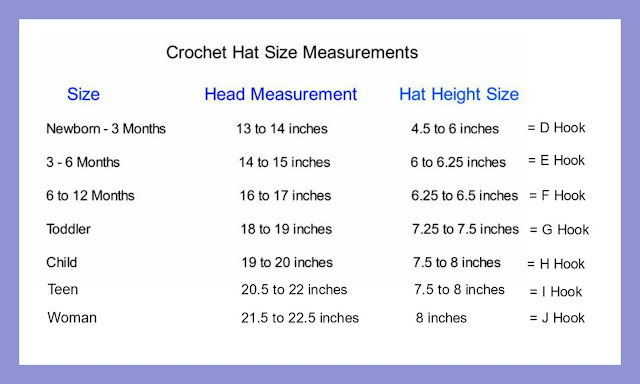 *slip stitch in the next 10 hdc, hdc in the next 20 hdc, slip stitch in the next 10 hdc, turn *Repeat (40 stitches) With yarn, tie the center of the mouth together, place the nose on the center. Sew the mouth below the eyes, bring up the center of the mouth close to the eyes and scrunch of the sides of the mouth by sewing them together and sew the sides upward to the eyes. like in the picture. With black yarn, sew in a black line at the bottom of the smile. Sew the yellow mouth below the eyes, make the sides curl upward on both sides. I love this fat cat. I used to collect Garfield stuff when I was a little girl. Need to make this one. I love this fat cat. I still collect Garfield stuff when I see it. Need to make this one.